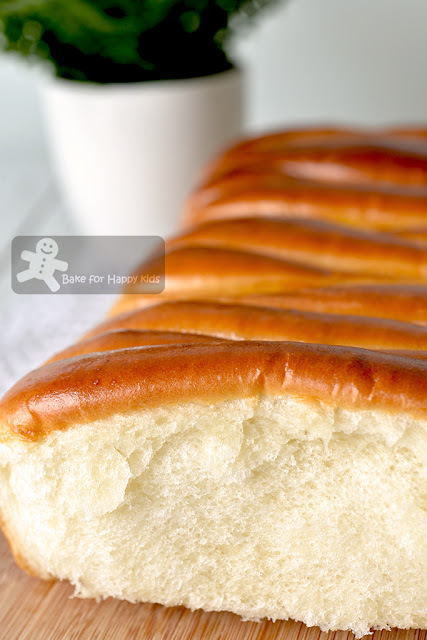 Bake for Happy Kids: Super Soft Condensed Milk Pai Bao 排包 / Roti Sisir - HIGHLY HIGHLY HIGHLY RECOMMENDED!!! Hi! Hi! I'm back from my recent Singapore trip and now back to my blogging. Unlike my other holiday trips, I had to take a little longer time to adjust back into my daily Melbourne routine because more than 5 of my colleagues including myself were asked to leave after December 2018! It is sad but challenging because I'm moving on into a new chapter of my life. After hearing this news, most of my friends and families actually suggested to me that I should start a baking business or conduct baking classes but I still prefer to bake and blog for fun, not for money or my living. While looking for another job, I will still continue to blog and share as much as I can but can't promise if I can keep up my baking and blogging when I start my new job. Well, let's see. Now, I'm not going to blah blah blah excessively about my uncertainty and shall march forward bravely with my stress-relieving BAKING... LOL! For the past months, I have been thinking of baking pai bao (排包) which is also known as Hong Kong sweet milk bread buns that are baked in long narrow shapes or roti sisir in Malay language. In fact, it was one of the most trendy to bake in most social media lately but I had not bake any yet! Instead of using a recipe that I can find via Google or any social media, I have decided to create my own recipe... And it works perfectly! This is the recipe that uses condensed milk. 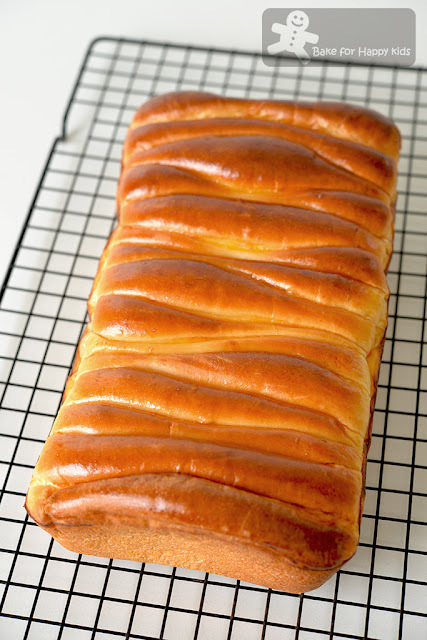 After tasting this bread, I knew instantly that I don't have to write much in this blog post! Simply because it is so straightforward SUPER SOFT and YUMMY! No doubt that I would HIGHLY HIGHLY HIGHLY RECOMMEND this recipe! LOL! Interested? 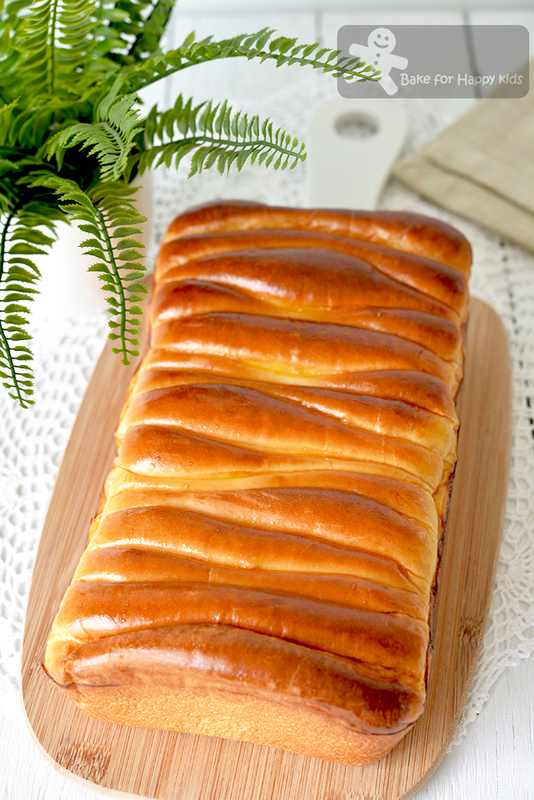 Here's a video showing how I baked my yummy pai bao. Its sweet milky taste is super yummy!!! I hope that you will like this recipe as much we do. As always, I will explore more pai bao and other breads baking in the near future and hope to share more recipes with you. If you are using a breadmaker to knead and prove, add all ingredients into the breadmaker according to this order. Use "dough" setting to mix and knead dough for 30 mins or until the dough is smooth and elastic and allow the dough to prove for 60 mins. If you are using an electric mixer with an hook attachment to knead, combine all ingredients except butter in the mixing bowl and mix at low speed until a soft dough forms. Then, knead in the butter until incorporated. Continue to knead at low speed for at least 25 mins or until the dough is smooth and elastic. It is important that the dough has to be elastic and stretchy. Cover the dough and allow the dough to prove in a warm and humid place for about 60 mins or until doubled in size. Please note that this dough can be sticky at the initial stage of kneading but it will become smooth and stretchy after adequate kneading. Grease one 15 x 25 cm non-stick pan with vegetable oil or vegetable oil spray. Gently deflate the dough and divide it into 15 equal portions (about 44g each). Shape all portions of dough into smooth balls. Allow them to rest at room temperature for about 10 mins. Using a lightly floured rolling pin, roll each portion on a lightly floured non-stick surface into long flat shape. Fold its top and bottom one-third towards its middle. Use a rolling pin to roll its non-fold sides outwards in order to form a long flat shape again, then fold its top and bottom one-third towards its middle again. You should get a nice square dough. Use a rolling pin to roll into a long flat shape that is 15 cm long and roll slightly more to form a wider 15 cm rectangle. Fold its long-sided top and bottom one-third towards its middle to form a long neat 15 cm strip. Repeat this rolling and shaping step with the remaining 14 portions of dough. Align and arrange all rolled dough side by side with their skinny length along the width (shorter side) of the pan, with their seams side down. Allow the dough to prove in a warm and humid place for another 60 mins or until doubled in size. For the egg wash, combine egg yolk and milk. Brush bread dough with egg wash and bake in a preheated 180°C (350°F) oven for 20 mins or until the breads are thoroughly baked and golden. If the top of bread turns brown too quickly, cover the bread loosely with a foil at the last 5-10 mins of baking and continue to bake it for at least 20 mins in total. 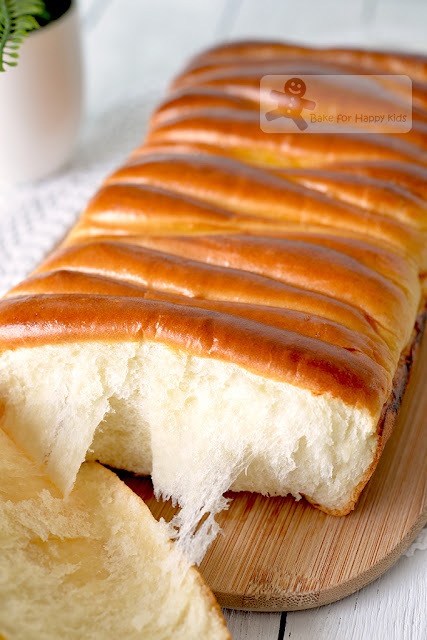 Remove the breads from the pan immediately and transfer onto a wire rack to cool completely before serving. oh my God!!! It seems so soft and...delicious! Wonderful! Zoe...good luck for your future! I hope that all that's uncertain now, will be clear in the immediate future. Zoe, you're a real talent. Any boss reading the quality of your work shown in your blog will realise this. Onwards and forwards to bigger things, your sparkle can't be covered. Hi Zoe, Welcome back. Sorry to hear that your position at work is no longer required. One door closes another door opens. There are plenty of other opportunities out there. Good luck and best wishes. Keep up the good spirits. Hi Zoe, I dont usually write but what a timely recipe! I had a fab milk pai bao from a bakery and wanted to recreate it. Thanks for your amazing recipes, and most of all, the detail that you go into. I am OCD about the recipes I try so I really appreciate the time you take to review recipes for us. I know that you will be successful in all you undertake because I can tell from this blog that you have a great work ethic and lovely personality! Am sure you will find something you love doing, that will also provide for you and your family. In the meantime, enjoy some downtime so play with recipes and bake for your loved ones :) thanks once again! Hmmm... There might be something wrong with your measurements or yeast? I will have to get on the computer and rewrite it convert to cups and tsps..but i cannot wait to try it .. keep going forward and be encouraged .. Hugs from Florida ..from an old couple !! I'm sorry to say that I prefer not to measure my ingredients by cups because it is way less accurate than weighing. Cheers! I'm sorry that I won't do that for this recipe.